In a graph G = (V,E), a vertex subset S ⊆ V of size k is called c-isolated if it has less than c·k outgoing edges. We repair a nontrivially flawed algorithm for enumerating all c-isolated cliques due to Ito et al. 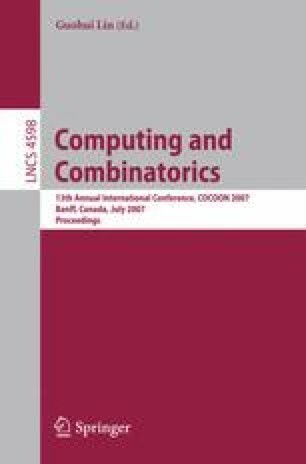 [European Symposium on Algorithms 2005] and obtain an algorithm running in O(4 c ·c 4·|E|) time. We describe a speedup trick that also helps parallelizing the enumeration. Moreover, we introduce a more restricted and a more general isolation concept and show that both lead to faster enumeration algorithms. Finally, we extend our considerations to s-plexes (a relaxation of the clique notion), pointing out a W-hardness result and providing a fixed-parameter algorithm for enumerating isolated s-plexes.